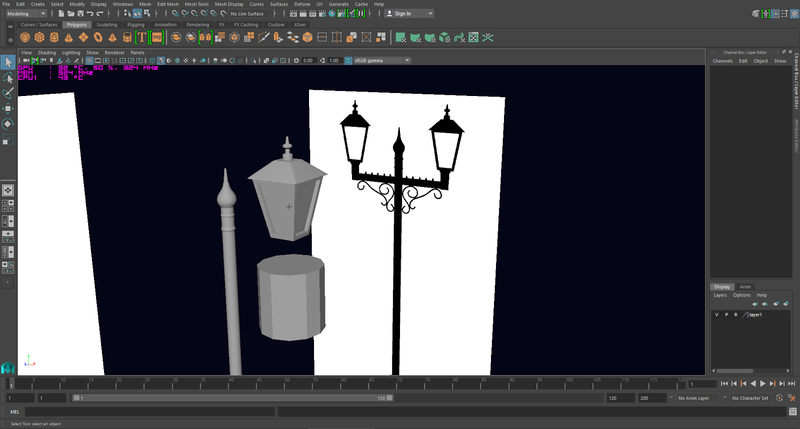 David Green - University Animation Student Blog: Maya Homework Update. I have been behind on my Maya Homework, with a week spent rebuilding my computer after a fatal crash I was very behind. This is where I am on each 3D Model in Maya, I appologise for this delay and I am working on getting everything finished as soon as I can. 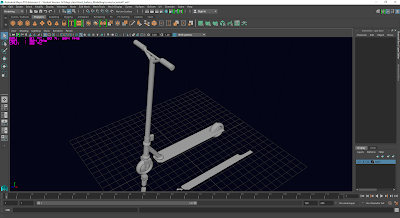 The Scooter is almost complete, only needing to be coloured and textured, or so I believe. 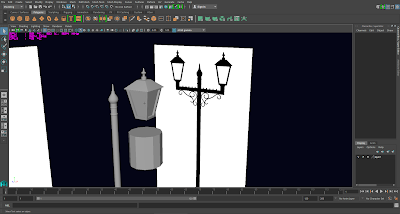 The first video was finished and the alley walls modelled, now i am modelling the lamp post. Alien: I have not started the alien.